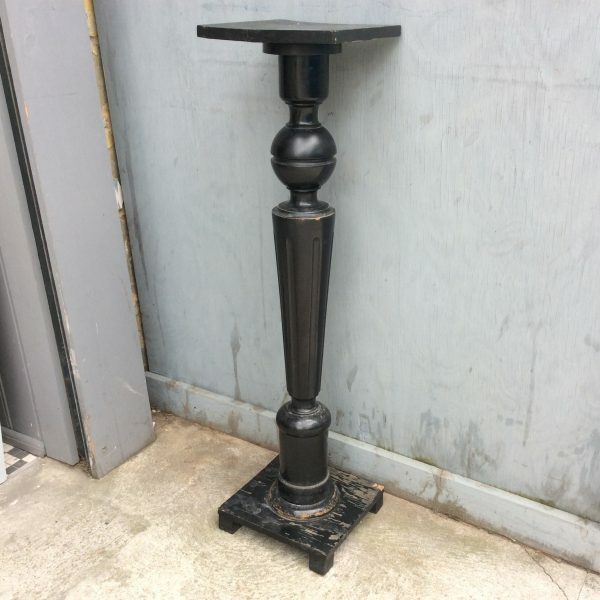 A simple Edwardian ebonised plant stand. With a later base and top. Perfect for a trailing plant or favourite object. Old worn paint.